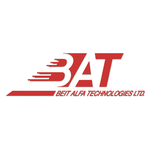 BEIT-ALFA TECHNOLOGIES Ltd. (BAT) is an international leading designer and manufacturer of special purpose vehicles. BAT developed the most advanced and effective Riot Control Vehicles. All models employ a quick, accurate, effective, cost-beneficial and user friendly“Jet Pulse Water Cannon System”. Our Riot Control Vehicles are sold worldwide and "in action" in more than 40 countries. Other product lines: Stationary Water Restraint System (WRS) for prisons, EOD & IEDD vehicles, Armored Personnel Carrier Vehicles.